Indoor Skydiving: No Plane, No Parachute, No Problem! SkyVenture New Hampshire is a state-of-the-art indoor vertical wind tunnel where YOU can experience the freedom of flight! There is no falling sensation, you just float above the trampoline floor with ease. No experience is necessary. SkyVenture New Hampshire completely immerses visitors into the world of high adventure skydiving, without ever having to pack a parachute, pull a ripcord, or jump out of a perfectly good airplane. SkyVenture is so safe that virtually anyone that is in reasonable health and fitness can fly! Children 3 and up and many customers over 90 have flown at our facility. Please check our flight restrictions to make sure that you qualify. We do require a waiver to be signed by a parent or legal guardian for anyone under the age of 18. 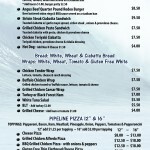 Surf’s Up New Hampshire features the endless indoor wave of the future! Surf’s Up is the largest Indoor Surfing facility in North America. A 32’ Surfstream which has become the most sought after indoor wave to ride. SurfStream is the world’s first standing wave machine offering up to seven different wave types for all skill levels to enjoy. Riders use real surfboards with fins on a thick cushion of water that creates an endless wave. Surf’s up enables all ages and experience levels to learn, practice and improve skills that are directly transferable to surfing in the ocean. PLEASE NOTE: For customer privacy NO photographs or video is allowed of the surf sessions at Surf’s Up. The Fishpipe is the world’s first rotating barrel ride. Fishpipe NH is a new and unique water ride where you slide farther than the world’s longest water-slide. While riding you will stay in the bottom of the barrel and it rotates around you! Solo riders can try to run inside, slide, or even try surfing on their feet. With 2 or 3 riders inside they slip and slide together, frontwards, backwards, or sideways. Rock Climbing in the tropics! 24 Foot Nicros A.R.T. Rock Climbing Wall: Come and climb our premium rock climbing wall! It is the most realistic climbing experience currently available in the climbing industry. 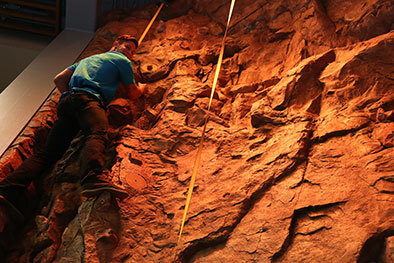 Our wall features a beginner, an intermediate, and an expert climbing route. While you are up climbing to new heights you will get a bird’s eye view of our amazing tropical oasis Surf’s Up! 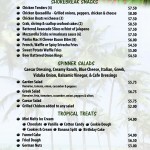 Aloha and welcome to The Oasis Cafe where palm trees, fruity drinks, and fresh food awaits you year round! 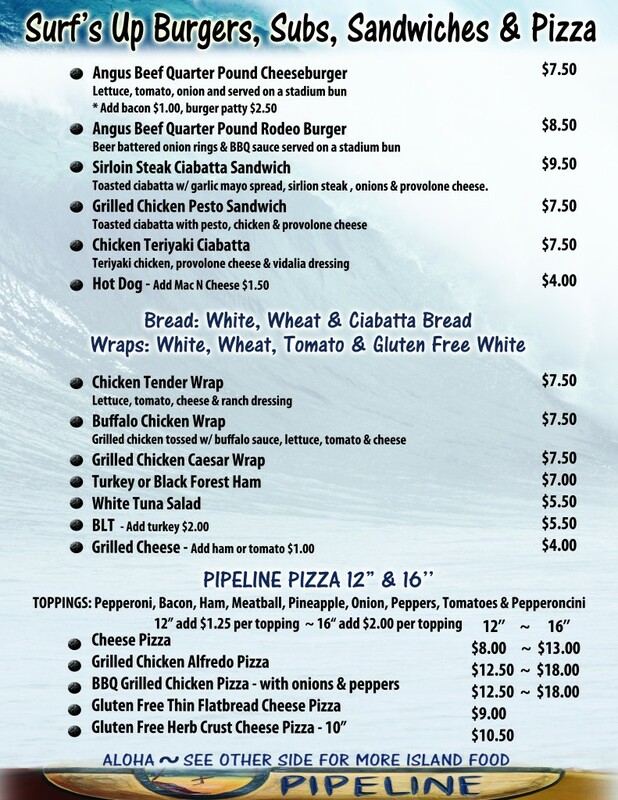 The Oasis Cafe is located indoors alongside Surf’s Up Indoor surf park, our Fishpipe, rock climbing and Indoor skydiving. This is a fun and relaxed warm tropical beach environment. 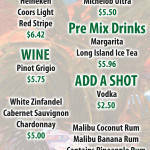 The Oasis is open daily for walk ins and adventure customers during our normal operating hours! 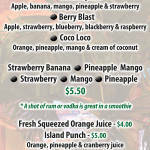 Here you can enjoy freshly prepared breakfast, lunch and refreshments. Visiting one of our adventure attractions? Stop in and fuel up for your adventure. 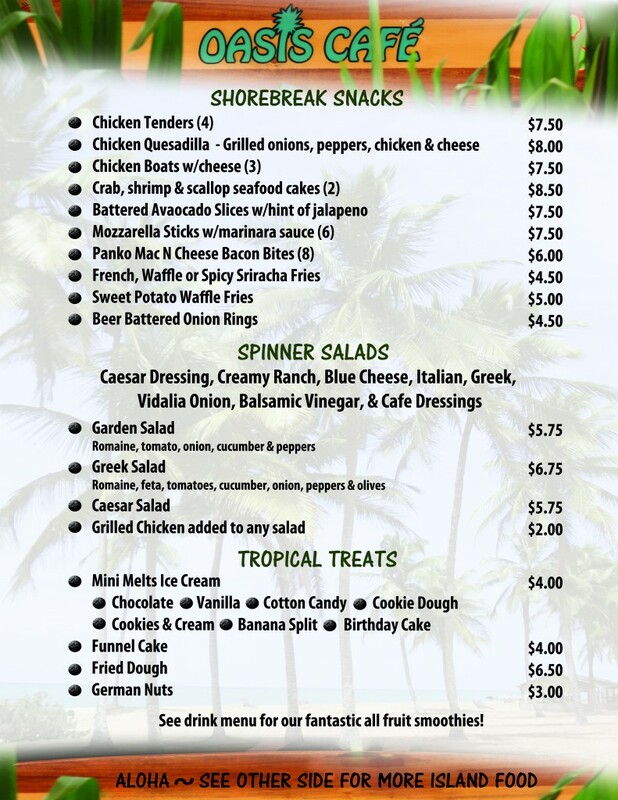 Here on the Island you can don your flip flops and puka shells or just come as you are to our Oasis Cafe and tropical paradise Surf’s Up. 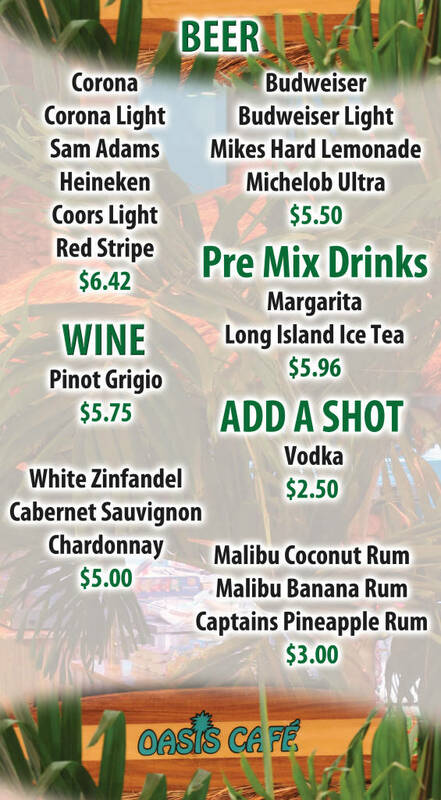 Alcoholic Beverages are available for sale at the Oasis Cafe. 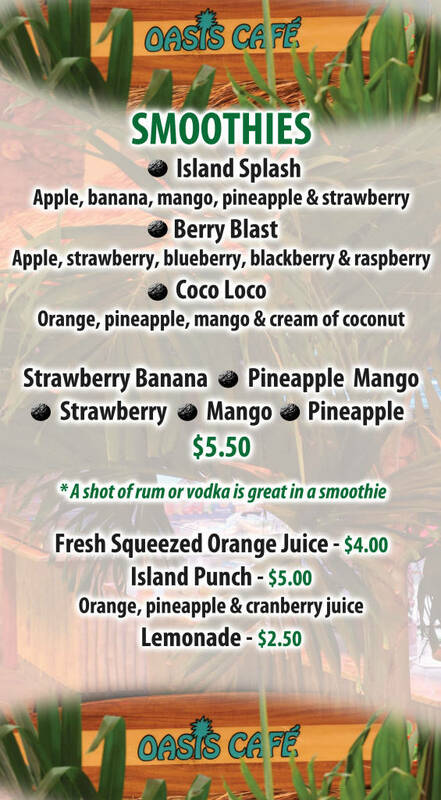 Anyone that is participating in any of our sport activities and is 21 or older can purchase drinks after they are done with their activities. No outside food or drinks are permitted in the facility.